Mercedes-Benz is bringing a new version of its midsize crossover to market. The new for 2019 Mercedes-Benz GLE gets more rounded styling and a heavy dose of tech features including an available 48-volt micro-hybrid system. But probably most important for families, more rear legroom and an available third row. 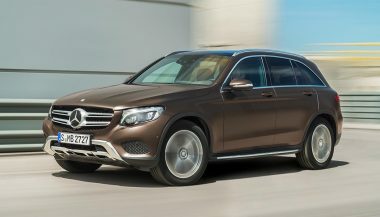 The German automaker says that it founded the premium SUV segment when it launched the first version of this model, then the ML-Class, in 1997. Though we’re willing to bet that the likes of Land Rover and Toyota (with the Land Cruiser) would beg to differ. In any case, it’s become very successful in the segment. Outside, the new Mercedes-Benz GLE gets a bold new nose. But in profile, the curving silhouette and gently flowing doors take their design from the E-Class coupe and sedan. Which is not a bad place to borrow your styling from at all. It’s a smooth look visually, but it works well in the wind tunnel too. 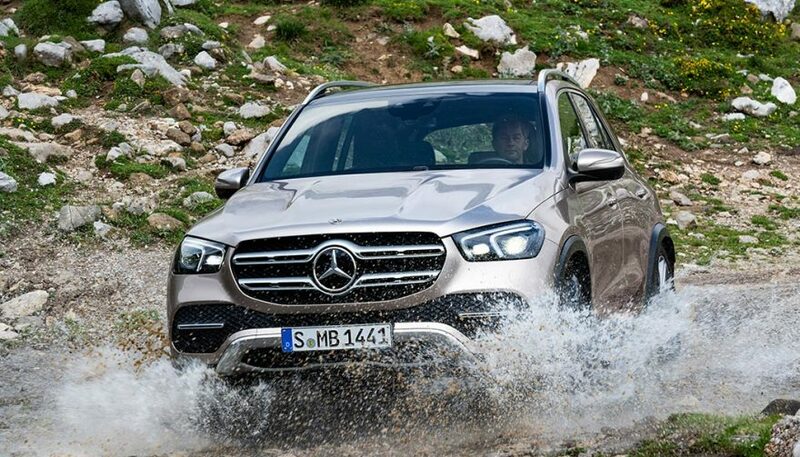 Mercedes says that the big SUV has a coefficient of drag of just 0.29. That’s a significant improvement over the 0.32 of the outgoing model and Mercedes says the new one is best in class. Inside, the new Mercedes-Benz GLE is a major departure from the old. Gone is the old and square center stack in favor of a massive touchscreen. Below that are the four large air vents of the E-cars, but square instead of round. Look further down and there are two large off-road grab handles, though most drivers of this one are not likely to take them through any terrain that’s that rough. The MBUX infotainment uses a pair of 12.3-inch screens standard. They’re mounted side-by-side for the look of one big panel. The screens can be set to four different themes, including sport and minimalist discreet. There is gesture recognition through a roof-mounted camera and Hey Mercedes voice command functionality. The extra 3.15-inches of wheelbase allows for 2.7-inches more legroom for rear seat passengers. Headroom back there is up as well. And the extra length goes toward that new folding third row. A pair of powertrains will be offered to start. The first is the Mercedes-Benz GLE 350 with a 2.0L inline four. That one produces 255 hp and 273 lb-ft. The bigger one is a new 3.0L inline six with EQ Boost 48-volt system. That one is the GLE 450 and uses a starter-generator that adds extra torque and allows for more time spent with the engine off. 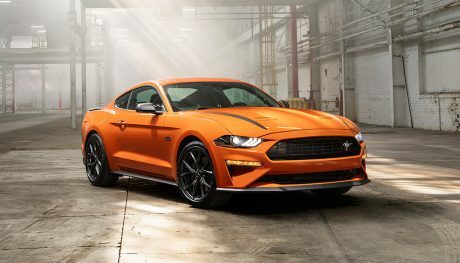 The engine makes 362 hp and 369 lb-ft. Both use a nine-speed automatic. The 48-volt electrical system in the Mercedes-Benz GLE allows for a fancy new suspension system. E-Activ body control uses the extra energy of the 48V system to operate a more complex damping system. It can control spring rate and damping at each wheel independently. It can counteract roll, and use the force of the suspension compressing to send electricity to the battery. The car can lean into corners like a motorcycle, and there is a mode that will “hop” the wheels to get you out of sand or snow. The new Mercedes-Benz GLE is expected to arrive at dealers early next year. 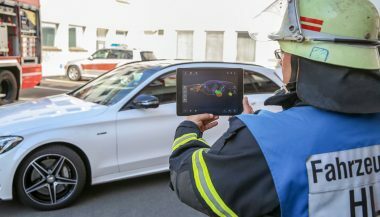 Mercedes-Benz has announced a new Rescue Assist App, Instead of just being another app that lets people lock their car doors this could actually save lives. The 2017 Merceds-Benz GLC-Class aces all the categories, including value and efficiency, to be named this year's SUV of the year. 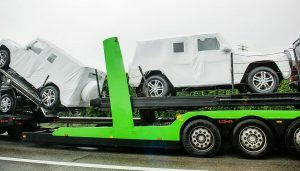 The all-new Mercedes truck was finally unveiled today. 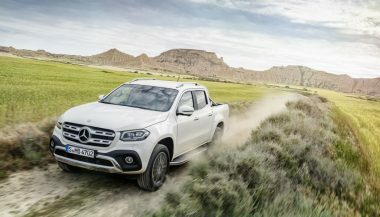 But Mercedes-Benz doesn't have plans to bring the luxury pickup to the United States.